Iranian composer and conductor, Arash has studied at Tehran superior conservatory (University of Applied Science and Technology), The Royal College of Music in Stockholm, Hochschule für Musik Basel and Estonian Academy of Muisc and Theatre; and has earned degrees in piano, double bass, orchestral conducting and composition specialties. 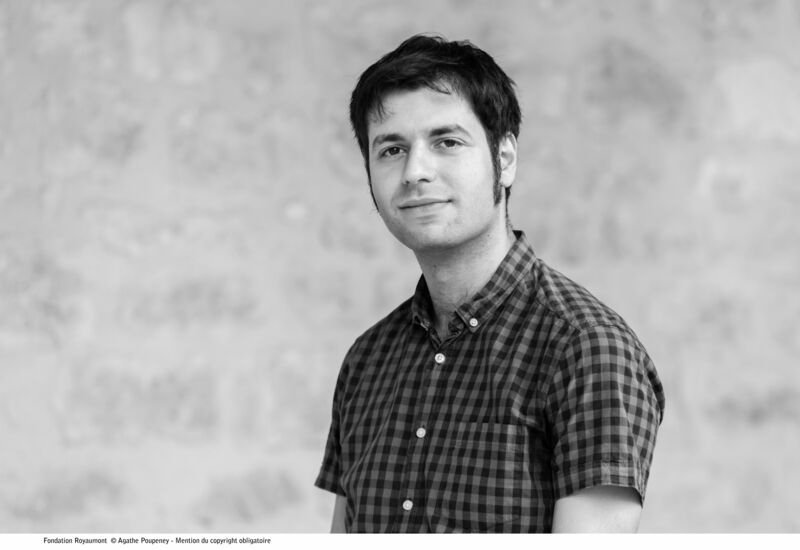 He is currently pursuing a PhD research of composition at the Estonian Academy of Music and Theatre and was a research residency fellow at Institut für Elektronische Musik und Akustik- IEM Graz. Arash is artistic director and conductor of Ensemble for New Music Tallinn. As a guest conductor he worked with several ensembles including Ensemble Intercontemporain, Ensemble Linea, International Ensemble Modern, Lucern Festival Academy Orchestra, Moscow Contemporary Music Ensemble, NeuverBand Ensemble, Ensemble U:, Ensemble Resonabilis, Namascae Lemanic Modern Ensemble, Chaotic Moebius Players. Yazdani’s music is recognised by its emphasize on the accoustical phenomena and creating unique hearing experience with the use of instruments. He has written pieces for Ensemble Phoenix Basel, Ensemble Proton Bern, Ensemble Lemniscate, Ensemble U:, KammarensembleN, Moscow Contemporary Ensemble, Delirium ensemble, Neophon Ensemble, Vertixe Sonora, Ensemble Linea, NexeDuet among the others. His music has featured in the MATA festival, Schwetzinger SWR Festspiele, MIXTUR Festival, Archipel festival, Kiev Contemporary Music Days, Royaumont Abbey foundation, Estonian Music Days, ReMusik Festival St Petersburg, Fresh Sound festival, Moscow Ensemble Academy and Tallinn Music Week.